PHOENIX, AZ, September 13, 2018 — Marquis Who's Who, the world's premier publisher of biographical profiles, is proud to present Mary Lou Hapner with the Albert Nelson Marquis Lifetime Achievement Award. An accomplished listee, Ms. Hapner celebrates many years' experience in her professional network, and has been noted for achievements, leadership qualities, and the credentials and successes she has accrued in her field. As in all Marquis Who's Who biographical volumes, individuals profiled are selected on the basis of current reference value. Factors such as position, noteworthy accomplishments, visibility, and prominence in a field are all taken into account during the selection process. 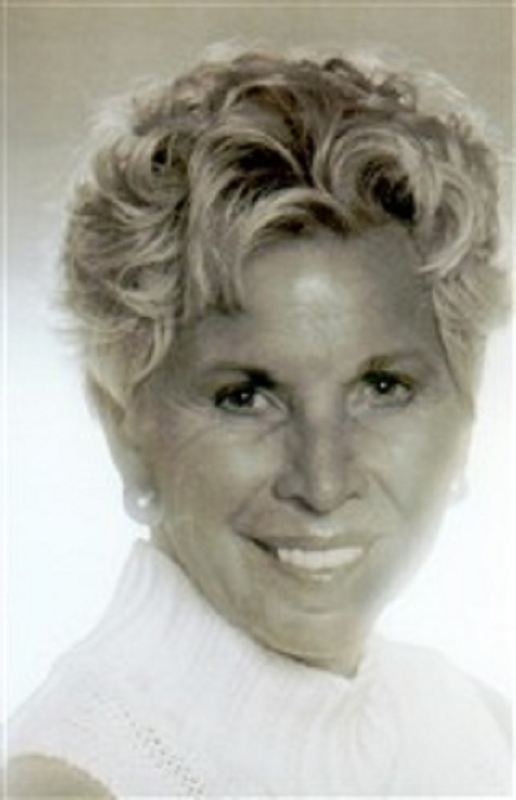 Mary Lou began her career as a secretary for the vice president of the Fort Wayne National Bank. Because her performance exceeded expectations, she became the first woman in the Junior board, a board created to groom men to become officers of the bank. In fact, the b-laws had to be re-written so that Mary Lou could become a member. Continuing to exceed expectations and setting her sights beyond Fort Wayne Mary Lou was offered a personal unsecured loan, interest free, by the President of the bank, Mr. Wendell Laycock, to attend Arizona State University. In 1963, Mary Lou moved to Phoenix, Arizona and graduated from ASU with her Master's degree in 1967. Paying no attention to glass ceilings, Mary Lou continued to be a trailblazer for women in business. In 1968, she became the second female stock broker in the United States and the first female stock broker in Arizona, a position she held for the next ten years. In 1971 she joined Young, Smith and Peacock, a New York Stock Exchange firm, and in 1975, they made her the first female Vice President of a national securities firm in the United States. In 1990, YS&P became Peacock, Hislop, Staley and Given, Inc.
Mary Lou fulfilled a dream when she came to Arizona and played varsity gold as a walk-on at ASU in 1965. Later as a founding member and eight time club champion at the Arizona Biltmore Country Club, she golfed for 40 years walking with her four-legged girls: Shana, Cozette and now Ci Ci Louise (they play scratch). As a founding member and president of Charter 100 in 1981 and 1982, Mary Lou touched history by writing a Proclamation for fellow member, Justice Sandra Day O'Connor when she was appointed to the United States Supreme Court. The original proclamation is in Washington, D.C. and reproductions are in the Arizona Historical Society Museum, the Justice Sandra Day O'Connor Exhibit and presented a personal copy of the Proclamation to Justice O'Connor for her home. In addition to the Proclamation and making Barbara Bush an honorary member of Charter 100 in 1981, Mary Lou also created several major events which included, in part, a 25th anniversary party where she appeared as Lady Godiva, and two special events featuring astronaut Sally Ride and the U.S. Ambassador to Finland, Barbara Barrett. Mary Lou spent seven years in the Academy of Performing Arts Chorale, which culminated in a concert in Carnegie Hall in 1989. For the past 20 years, Mary Lou's focus has been on children's issues. She gives them a voice by describing with words and pictures the essence of their particular situation. After writing the poetry and conceptually designing the murals, she contracts with an artist and calligrapher to bring her work to life. These murals can be found in the lobbies of Beatitudes Age Link, Arizona's Children's Foundation, Aid to Adoption for Special Kids, and The Arthritis Foundation. She says, “There is nothing more satisfying than watching the children as they identify with the poems and make the mural their own.” The murals are a gift to the children. She also created endowments for adoption for Arizona's Children Foundation and music for the Church of the Beatitudes. Mary Lou has received many philanthropic awards, including: The Spirit of Philanthropy award in 1997 and 2009, the Impact Award for Enterprising Women in 2001, the Arthritis Angel Award in 2002, the Rookie of the Year Award from the Arthritis Foundation in 2003, and the Albert Nelson Marquis Lifetime Achievement Award in 2018. In addition, she was included in the book, Spirit of Arizona in September 2001. In 1978, she was a member of the financial committee for the YMCA Phoenix. In 1983 Mary Lou was chairman of the March of Dimes, Sun City. In addition, she was a Trustee at St. Luke's Hospital. In 1991, she chaired the the budget committee at the Church of the Beatitudes, Phoenix and was also a member of the executive committee. Also in 1991, she served on the Board of Directors of the Arizona Children's Foundation. In 2001, she was a member of the Dean's Council of 100, Arizona State University College of Business. Mary Lou has been listed in Who's Who in Finance and Business, Who's Who in America, Who's Who in the World and Who's Who of American Women. In recognition of outstanding contributions to her profession and the Marquis Who's Who community, Ms. Hapner has been featured on the Albert Nelson Marquis Lifetime Achievement website. Please visit www.ltachievers.com for more information about this honor.